Logitech says its factory in Suzhou, in western China, has produced the firm's billionth computer mouse. Video courtesy of Logitech. Swiss company Logitech has hailed as a major landmark the production of its one billionth computer mouse. Logitech's description comes at a time when analysts claim the days of the mouse are numbered. "It's rare in human history that a billionth of anything has been shipped by one company," said Logitech's general manager Rory Dooley. "Look at any other industry and it has never happened. This is a significant milestone," he told the BBC. But sounding the death knell for the device is Gartner analyst Steve Prentice who said "the mouse will no longer be mainstream in three to five years". However he did acknowledge the manufacture of the one billionth mouse was a "tremendous achievement". 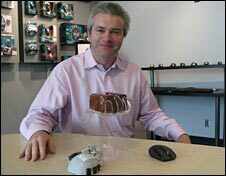 "It speaks volumes to the success of the mouse that they (Logitech) have produced a billion and good luck. But past performance is not a guarantee of future success. "The world has changed and the nature of machines has changed. The multi-touch interface I believe really does seal the coffin of the mouse," added Mr Prentice. He claimed the other technologies that would consign the mouse to the dustbin of history would involve facial and movement recognition for the mainstream market. Mr Dooley, however, believed the new technologies would have a place alongside the computer mouse and that it did not have to be an either/or situation for users. "Touch will augment the things you can do today with the mouse and keyboard interface," he added. The mouse faces some stiff competition. Laptops and notebooks use a touch pad and are increasingly taking the place of the desktop computer. Apple's iPhone and Nintendo's Wii game have introduced a new generation to the world of touch screens and movement sensors. 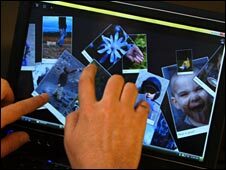 HP is pushing a mouse-less TouchSmart PC while Microsoft have invested heavily in "surface" computers which react to gestures and touch. Mr Dooley, however, put talk of the death of the mouse down to hyperbole. "The reality is it's always easy for people to drum up interest in a story by making an extreme statement. And in the story of the 'mouse is dead' campaign by Bill Gates a few months ago, that was started to drum up interest in Windows 7, the next version of the operating system. "The challenge with these new technologies is going to be will you touch a screen that is two feet away from you a thousand times a day? Is touch accurate enough to let you get into the cell of a spreadsheet? "Those are just some simple questions we believe will not necessarily be answered by the touch interface of tomorrow," Mr Dooley explained to the BBC. Mr Prentice strongly disagreed and said that the pace of progress could not be denied. "Just look forward five years and computer screens will be built into the walls of our homes and that would make it difficult to drive with a mouse. That's where all the new technology like multi touch and facial recognition comes in. This is where the computer stops being a computer and becomes part of a building. "Push things back 30 years and we would never have said we'd sit in front of a computer or that computers would hold all our music when everyone bought gramophones. Computers are not just computers anymore, they are part of our lives," added Mr Prentice. Logitech's one billionth mouse rolled off the production line in the middle of November. As part of the fanfare around that, the company has launched a global competition to find the mouse with a reward of $1,000 of Logitech products going to the winner. Clues to its whereabouts will be posted on the company's blog. The computer mouse will achieve a milestone of its own next week when it turns 40. 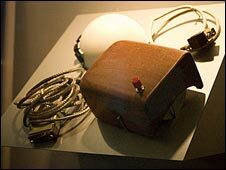 It was 9 December 1968 when Douglas C Engelbart and his group of researchers at Stanford University put the first mouse through its paces.